Scientific Literature in Review: Chronic Active Human Herpesvirus-6 (HHV-6) Infection: A New Disease Paradigm by Joseph H. Brewer, M.D. According to Joseph Brewer, M.D., CFS is strongly associated with HHV-6. To a slightly lesser degree FM is also linked to the virus. In his paper, “Chronic Active Human Herpesvirus-6 (HHV-6) Infection: A New Disease Paradigm,” Brewer provides a thorough exploration of HHV-6 infection, and includes observations from his several years of scientific study of the virus and the diseases it may preempt. Brewer proposes several reasons why HHV-6 leads to chronic immune dysfunction. First, he points to a ‘triggering event’ where the latent HHV-6 virus is reactivated in the body. “The immune dysfunction presumably relates to cell mediated immunity (CMI) and natural killer (NK) cell dysfunction.” In this case, he writes, NK function is crucial to controlling the spread of the virus, because with loss of NK function may then lead to active HHV-6 infection. A rapid viral culture test, as described by Brewer, is one where the patient’s leukocytes are co-cultured with fibroblasts. This fibroblast layer is stained so that early active infection will show up. This method is sensitive in the range of 80-85% with specificity of nearly 100%. However, this test does not distinguish between HHV-6 variant A and variant B, and no such test is commercially available at the present time. Brewer discusses the efficacy of several treatment options. The ‘tried and tested’ anti-viral therapy is thoroughly explored with a discussion of the different medications available such as acyclovir (Zovirax), ganciclovir (Cytovene) and foscarnet (Foscavir), among others. Overall, Brewer regards transfer factor therapy as having substantial promise for the treatment of HHV-6 related disorders. 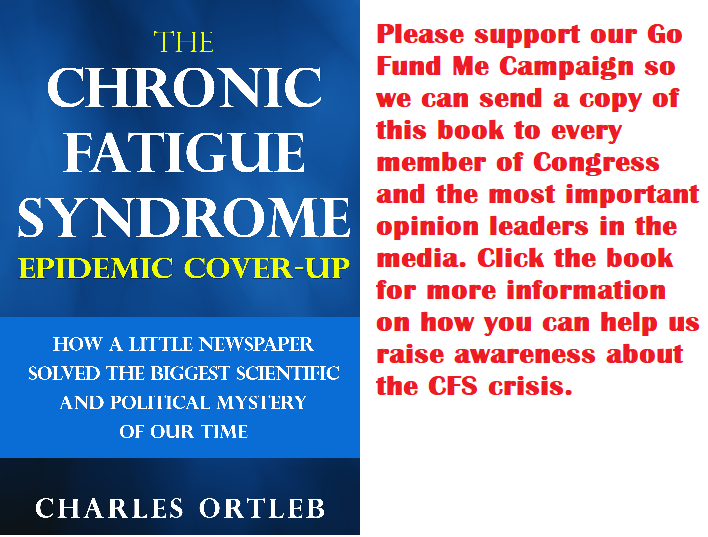 At the February, 2003 meetings of the American Chronic Fatigue Syndrome Association, Dr. Joseph Brewer, an infectious disease specialist from Kansas City, reported a double blind study in which he claimed improvement for two-thirds of persons with chronic fatigue syndrome, while persons taking placebo did not improve. If Dr. Brewer’s results are valid, then this is the most important treatment breakthrough so far for CFS. Ironically, Dr. Brewer’s study has received little attention so far, perhaps out of fear that it is “too good to be true”. We won’t know for sure until more double blind studies are done to confirm his dramatic findings, or until enough patients try it and report their anecdotal results. Dr. Brewer’s formal study focused only on that sub-group of CFS patients who had Herpes Virus-6 found on special culture. However, since HHV-6 can be present without showing up on culture, Dr. Brewer now believes that both HHV-6 positive and HHV-6 negative persons may respond. Dr. Brewer told me that he now treats all CFS patients with transfer factor, and that he believes his results for “all-comers” are just as good as in his study. Of course, the “all-comers” data is anecdotal experience, no longer double-blind. Dr. Brewer identified 38 CFS patients who had a positive culture for HHV-6 Virus. Twenty eight received a capsule containing cow’s milk colostrums. The cow had first been specifically primed to make antibodies against HHV-6 virus. Ten patients, the controls, received standard colostrum, without special HHV-6 antibodies. Treatment lasted six months. Based on symptom report scores 68% of people treated with anti-HHV-6 colostrum improved by 25% or more. In contrast, none of the “control” patients improved by that much. For the HHV-6 treated patients the average symptom score decreased from 76 to 41. The control group’s average symptom score increased from 79 to 81. Natural killer cell function scores also improved in the HHV-6 treatment group from an average of 8 units to 54 units. Natural killer cell function for control patients did not change. If Dr. Brewer’s observations are correct, this would be a major breakthrough treatment, at least for persons who have low grade chronic infection with HHV-6. One problem: some healthy people also grow HHV-6 from their blood, so the mere presence of HHV-6 doesn’t necessarily mean that it’s making you ill.
Dr. Podell’s Perspective on Transfer Factor and HHV-6 Virus: Dr. Brewer’s treatment is probably very safe, so pending further data, it’s definitely worth a try. Some patients get a mild flu-like reaction when starting the treatment, but that seems to be worst side-effects. Most (but not all) people with cow’s milk allergy tolerate the colustrum. It costs $140 a month. Not cheap, but certainly worth it if the treatment works as claimed. Dr. Brewer feels that a three month trial would be reasonable to judge on.